With the release of writer-director Darren Paul Fisher’s Frequencies on DVD in the UK this month, Top 10 Films takes a look at some of the most intriguing dystopian universes. 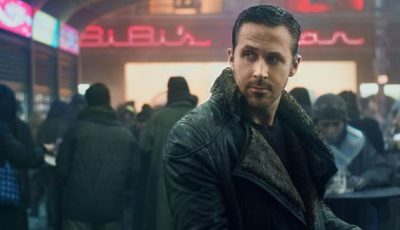 The concept of dystopian worlds is one that has always been popular in cinema, but seems to have captured film-goers imagination more so than ever in recent years. With massive franchises taking on the subject matter, the notion of a future in which something is very, very wrong has transferred from cult sci-fi to the mainstream. In Darren Paul Fisher’s Frequencies, which makes its debut on DVD in the UK on April 20th and on digital platforms a week earlier, we witness a future where children’s abilities to succeed in life are determined based on their own personal ‘frequency’ which dictates how lucky they will be. In the process of testing one particular group, it transpires that Marie (Lily Laight) has an impossibly high frequency, making her the luckiest girl in the world. At the same testing, Zak (Charlie Rixon) is discovered to have a frequency so low it measures as a negative number. As they reach adolescence, Zak (Daniel Fraser) becomes desperate to alter their frequencies so that he and Marie (Eleanor Wyld) can be together, and with the help of his friend, Theo (Owen Pugh), devotes his life to finding a way. However, when he finally makes a huge breakthrough, the repercussions stretch further than he could possibly imagine, causing everyone he once trusted to turn on him. George Orwell’s classic novel has ingrained itself in popular culture, and is responsible for the concepts of ‘Big Brother’ and ‘Room 101’. This film based on the classic stars John Hurt as anti-establishment hero Winston Smith, living in a totalitarian society and in permanent war, presently against Eurasia. People from the upper classes follow the “Ingsoc” philosophy and are under permanent surveillance of Big Brother through the telescreen – a monitor that spies on each and every individual. Bureaucrat Smith rewrites history to control the future of the party and inadvertently uncovers proof that the ruling Party is lying, in the process becoming a ‘thought-criminal’. When Winston meets Julia (Suzanna Hamilton), they commit the crime of falling in love – and their affair ultimately leads to his capture and interrogation by the ‘Thought Police’. In Ridley Scott’s cyberpunk, sci-fi thriller vision of the future, man has created the technology needed to create ‘replicants’ – human clones to serve in colonies outside of Earth but with fixed life spans. 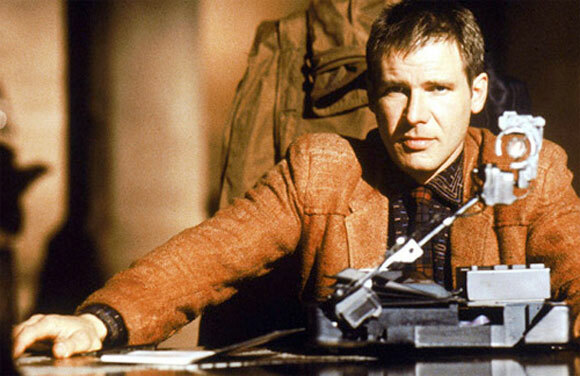 In 2019 Los Angeles, Deckard (Harrison Ford) is a Blade Runner- a member of the LAPD who specialises in terminating replicants. When four replicants escape from a colony and re-enter earth, he is forced to come out of retirement in order to track them down. Led by Roy Batty (Rutger Hauer), the most advanced replicant of the group, Zhora (Joanna Cassidy), Pris (Darryl Hannah) and Leon (Brion James), go on the run, determined to find their creator. Deckard’s job is only made harder when he discovers that these particular replicants are believed to be advanced enough to have developed emotions, which will make them harder to detect via the usual methods of testing. The first in the trilogy based on Veronica Roth’s young adult fiction series stars Shailene Woodley, Kate Winslet and Theo James, and is set in a futuristic Chicago, where society has been divided into five factions. The factions are based on people’s predominant virtue – Abnegation for the selfless, Dauntless for the brave, Erudite for the intellectual, Candor for the honest, and Amity for the peaceful. When teenagers reach the age of 16, they must choose to either stay in the faction of their birth, or transfer into another faction. 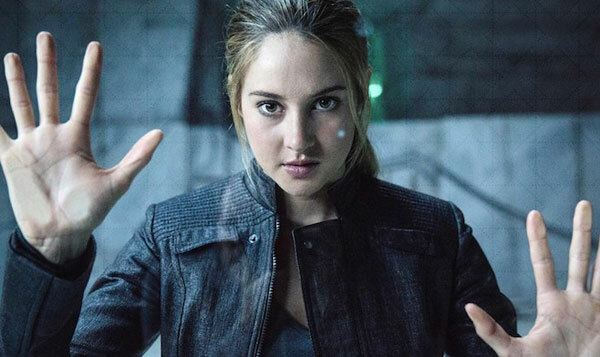 Beatrice Prior, or ‘Tris’ (Woodley) is forced to decide between staying with her family in Abnegation, where she doesn’t feel she fits, or to transfer into another faction leaving her family behind. She undergoes a highly competitive initiation process to join the Dauntless faction, but has a secret – she is Divergent, which means she doesn’t fit into any one group. If anyone knew, it would mean death – and soon she and Four (James) discover a growing conflict that threatens to unravel her seemingly peaceful society, and destroy everything she holds dear. 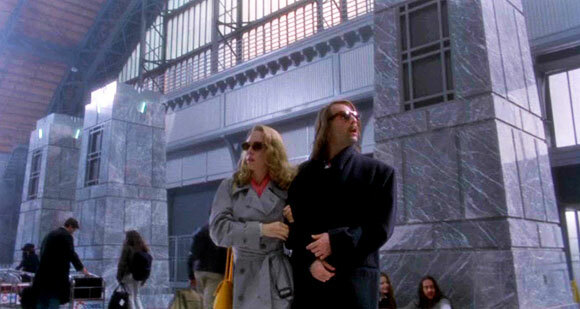 Terry Gilliam’s nightmarish vision of the future takes place in 1997, after a fatal virus has killed 99% of the human population forcing the survivors to flee underground. 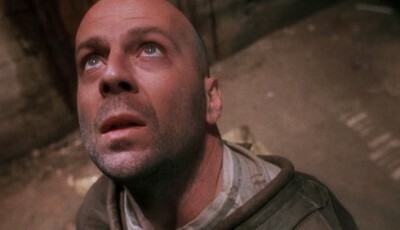 The scientists select James Cole (Bruce Willis), a sociopathic convict, to return to the past and gather information useful in the defence against this infection. Once back his task is to investigate the mysterious ‘Army of the Twelve Monkeys’ and report back on what he discovers. 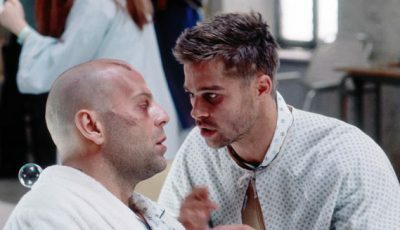 However, the reluctant Cole is mistakenly sent back six years earlier to 1990, arrested and locked up in a mental institution, where he meets psychiatrist Dr. Kathryn Railly (Madeleine Lowe) and patient Jeffrey Goines (Brad Pitt) – the insane son of a famous scientist and virus expert. This hit franchise based on Suzanne Collins’ bestselling young adult novels stars Jennifer Lawrence as protagonist Katniss Everdeen, alongside Liam Hemsworth and Josh Hutcherson. The series takes place in the post-apocalyptic nation of Panem (previously North America). The nation is made up of the wealthy Capitol and twelve poorer districts. Katniss lives in District 12, the poorest region of Panem – and as punishment for a past rebellion against the Capitol, one boy and girl from each district, between the ages of twelve and eighteen, are selected to participate in the Hunger Games on an annual basis. The Games are a televised event with the “tributes” being forced to fight to the death in a public arena. The winning tribute is then rewarded with food, supplies and riches. 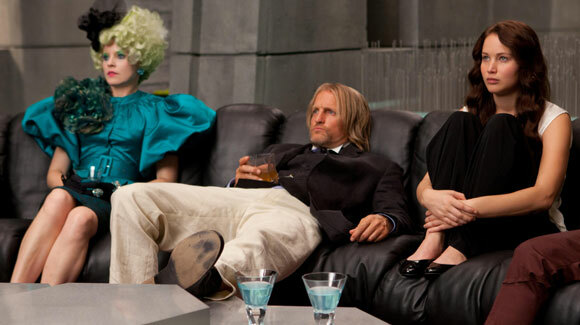 The purpose of the Hunger Games is to provide entertainment and to serve as a reminder of the consequences of rebellion – but little known to the Capitol another one may already be stirring. This haunting, heartbreaking drama based on Kazuo Ishiguru’s novel recounts the lives of Ruth (Keira Knightley), Kathy (Carey Mulligan) and Tommy (Andrew Garfield), three friends who grow up together in an idyllic English boarding school. Following a medical breakthrough in 1952 the human lifespan has been extended beyond 100 years. Whilst at school, the young Kathy (Izzy Meikle-Small), along with Tommy (Charlie Rowe) and Ruth (Ella Purnell) discover, by the revelations from new teacher Miss Lucy (Sally Hawkins), their true nature: they exist only as organ donors for transplants, and will die – referred to as “completing” – in their early adulthood. The trio leave school with the horrific truth of their fate hanging over them, as they are forced to confront the inevitable, while dealing with the ever-present love triangle hanging over them. This 2008 British film written and directed by Gerald McMorrow as his debut feature stars Ryan Phillippe, Eva Green and Sam Riley. The film is split between the parallel worlds of contemporary London and the futuristic metropolis of Meanwhile City. It follows the stories of masked vigilante Jonathan Preest (Phillippe), troubled, rebellious art student Emilia (Green), the heartbroken Milo (Riley) who is still longing for his first love, and deeply religious Peter (Bernard Hill), who is searching desperately for his missing son amongst London’s homeless. Switching between the two worlds, the characters’ storylines eventually intersect and combine, in a carefully constructed, brilliantly executed finale. This cult classic takes place in a dystopian future where the economy of Japan is nearing complete collapse, with high rates of unemployment and the education system in ruins. The government passes the Battle Royale Act – which means one class is selected to be sent to an island, each with random weapons and a few rations of food and water. And so begins a game in which the students are instructed to kill each other – they have three days to do so until one survives – or they all die. While some decide to play the game, Shuya (Tatsuya Fujiwara), Noriko (Aki Maeda), and Kawada (Tarô Yamamoto) desperately try to find a way to get off the Island without violence. However, as the numbers dwindle, it becomes apparent that the chance of survival is slim to none. Frequencies arrives on digital platforms from April 13, 2015 and on DVD from April 20, 2015 courtesy of Signature Entertainment. I’m definitely looking forward to seeing Frequencies but it sounds a bit too much like Hunger Games/Divergent. Why has YA fiction taken on a very samey narrative?